German engineering united with American ingenuity to masterfully design and create the most advanced ceramic charcoal grill in the world—Monolith BBQ Guru Edition Classic. 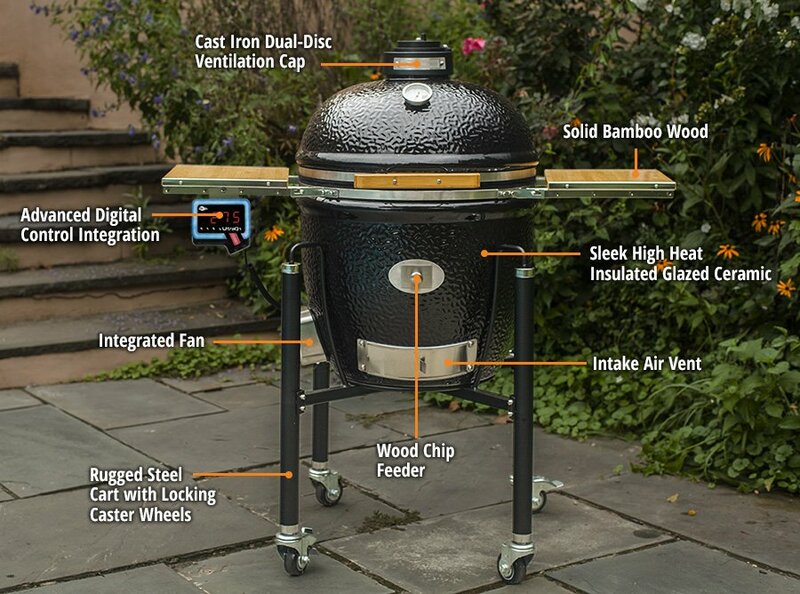 Kamado style cooking was traditionally used by the Chinese and Japanese for over 3,000 years because of its amazing flavor infusing capabilities. German engineers took the centuries-old tradition and built upon that age-proven foundation to create the Monolith. It’s time to your world and palate and experience the unified blend of exquisite craftsmanship and the highest level of technology available in outdoor cooking. Perfect for beginners or advanced cooks, the innovation behind every Monolith makes outdoor cooking easier than ever before. Make every day feel like a vacation and take the guesswork out of regulating and controlling your Monolith’s cooker temperature with a revolutionary integrated temperate control, digital food thermometer, and food ready alarms. Satisfy your every cooking need with the ultimate all-in-one outdoor cooker. Because of the unique nature and interaction of air flow dynamics and high heat ceramic material, the Monolith charcoal grill can do just about everything. The extensive range of standard premium features bring unlimited options by creating a variety of cooking methods and multiple fire configurations. 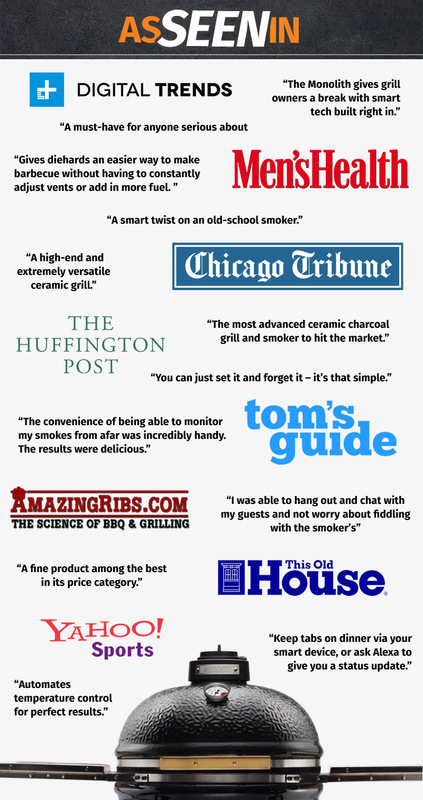 Explore your culinary creativity and grill, barbecue, smoke, bake, sear, or roast—the options are limitless. 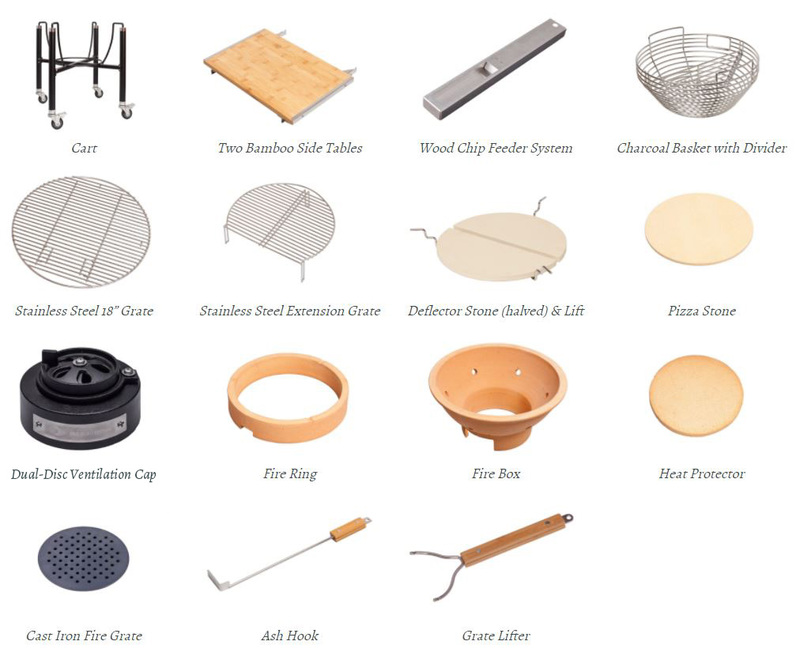 Whether you require high temperatures for perfectly grilled steak or low temperatures for tender barbecued chicken– you’ll be amazed with the all-round talent, convenience, and possibilities available by using just one grill. INCLUDED ACCESSORIES: The following premium accessories come standard with every Monolith Classic. 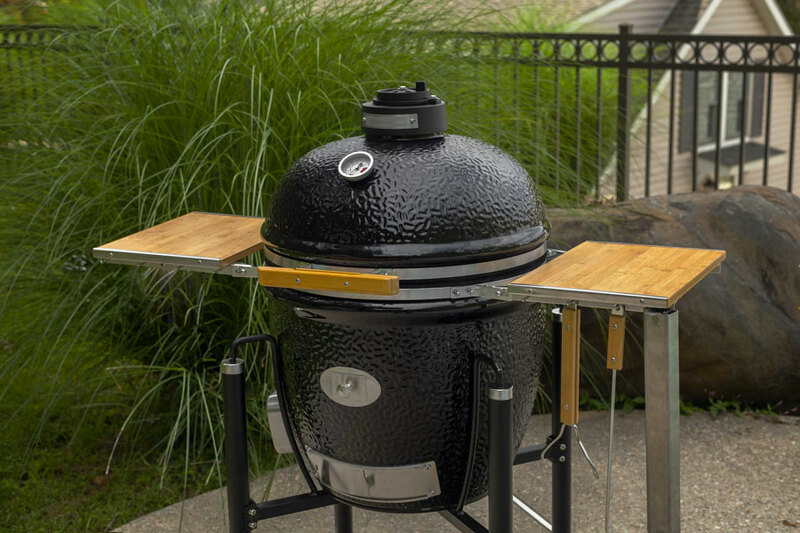 Upgrade your Monolith and add ceramic feet, perfect for the Buggy, Teakwood Table, or for your own designed outdoor kitchen. Additional accessories can be found on the: Monolith Accessories Pages. Note: Free Shipping to the 48 continental US States only. Call us for shipping quotes to other areas.